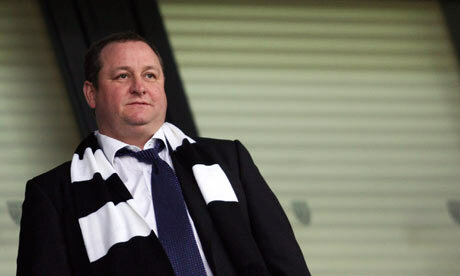 The worst has really come , Mike Ashley is reportedly reconsidering his selling position (for the second time) and may well take Newcastle United off the for sale list. This comes as all parties interested in buying have expressed a concern at the finance books at Newcastle and indeed you’d expect that. There are so many financial problems at the club, now that we’re a Championship Club. Reports indicate that Ashley will remain as owner and Llambias as MD still, however a new Public Relations figure who we don’t know just yet. Indeed you’ve probably saw this on various sites but it’s quite possible that it’ll happen. It’s been a tragic season for Newcastle, suffering relegation and whatnot, the worst, Mike Ashley not being able to sell and all of our players, who showed interest in staying, now wanting a move away in order for their careers to progress. We still don’t know fully what’s going on but we’re advised to keep an eye on Sky Sports around noon tomorrow where finally, Shearer could well take charge of his beloved Newcastle United. Don’t hold you’re breath though. why does this not surprise me, he is holding out for the full figure he has asked for but because of the mess he has made its price is decreasing by the day with alot of quality players wanting to leave. I don't think it surprises anyone really, there seems to be no end to his arrogance if you'd call it that.